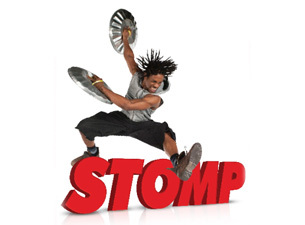 STOMP is a movement, of bodies, objects, sounds - even abstract ideas. But what makes it so appealing is that the cast uses everyday objects, but in non-traditional ways. There's no speech, no dialogue, not even a plot. So why go see STOMP? Well, have you ever composed a symphony using only matchbooks as instruments? Or created a dance routine based around sweeping? You may have done this a little, but get a group of rhythmically gifted, extremely coordinated bodies with definitive personalities, and you have the makings for STOMP. The international hit performance-dance rhythm return to London for a long overdue West End residency.